If you have photos or memories of the school to share, please contact us. MODERN ADDRESS Located in section 2 of the Forest Lake Township. NOTES *District formed from districts 38, 56, and 67. *The first term was held in an old cottage near the residence of an A.L. Stromberg for 2 months. The blackboards were made of cloth. *School was 7 months long. *The class also consisted of parents who were students. *In 1898, the school was supplied with new books. Enrollment in 1898: 22 students. 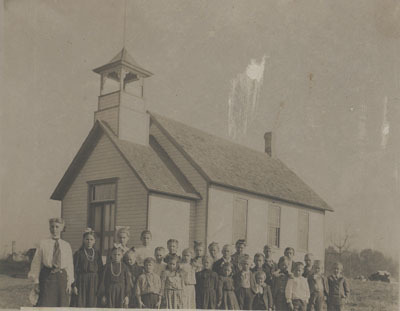 Other teachers: (1892-8): Herbert O. Grubbs, Edith Lundell, Anna Rockstroh, Selma Holcombe. Effie Posten (the first teacher).